We often hear about the cost saving aspects of Session Initiation Protocol (SIP) as a way to reduce costs. This post and the white paper below will look at additional benefits of SIP, provide implementation best practices, and additional educational resources. We cover the basics to get everyone on the same page and then get into the challenges, calculations, and steps required for a successful project. Gary Audin, president of Delphi, Inc. has authored a white paper on some of the most common applications of SIP – from SIP Trunking to SIP phones. There are other SIP implementations not quite as well known that support a range of devices and interfaces beyond SIP trunks and phones. 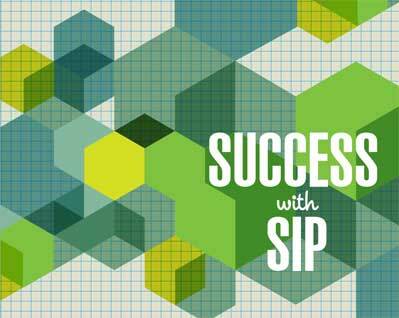 In addition to providing a link to Audin’s white paper, we summarized his findings to help you understand what SIP does and does not support in order to help you grasp the implementation issues involved with SIP. For starters, let’s answer the question “what is SIP?” In a nutshell, SIP supports session signaling and session control. It is not specific to Voice over Internet Protocol (VoIP) and can be used to establish and control voice, video, Instant Messaging (IM), file transfer, games, and other media sessions. Be clear that SIP does not define a phone call. The Session Description Protocol (SDP) defines the media carried over the SIP session. Device Type/Location: SIP can locate the user and determine what end system will be used in the proposed session. This is particularly useful since Unified Communications (UC) deployments often involve multiple networks. As a result, it is important that SIP has the capability to determine the end user’s geographical location and to know which systems will be in use during the session. Device Presence: This function helps to determine user availability. The end user is able to tell the system whether or not they are available to talk or if they wish not to be disturbed. Device Capabilities: SIP can determine the capabilities that are available at the user’s end system for the session. For example, a computer has capabilities that a phone does not. The device capabilities function allows SIP to make a determination of the media being used. Establish Connectivity: This SIP function is to establish the session, or connect the call. It is also responsible for establishing session parameters for both the caller and the call recipient. Manage Communications: SIP manages the session such as call termination, call transfer, or changing the session parameters during the call. Voice over Internet Protocol (VoIP) technology and software is nothing new to the industry. While mostly proprietary, many access and signaling protocols have been developed for VoIP. You may be wondering what this has to do with SIP. The development of the SIP standard has introduced standardization to VoIP. In addition, SIP can also support video, Instant Messaging (IM), and many other forms of media. Learning the value and operation of SIP is no longer an option; it has become essential to anyone working in the field of communications and collaboration. Multiple elements in the SIP path must each be successfully interoperable with each other. However, when implementing SIP trunking, the enterprise can encounter a number of issues. In our next post, we will get into SIP Trunking, how to choose the best service provider and how SIP trunking can both cause you problems and save you money. In the meantime, click below to download Gary Audin’s white paper for a deeper look into the functions of SIP. 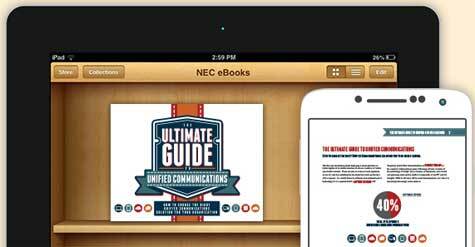 In part one of our series, we took a dive into Gary Audin’s eBook, entitled “The Ultimate Guide to Unified Communications.” Audin’s publication gives an in-depth look on how to evaluate which UC approach is right for you. Read along as we dive deeper into the rest of the book and the pros and cons of the approaches to UC implementation. Does my organization have the financial strength to use capital (CAPEX) funds or the ability to borrow the capital? If the capital is not available, does my organization favor expensing the costs of IT implementation through outside services? Does our IT staff have the training, knowledge, and experience to implement an on-premises system? If not, do we want to retain a VAR to implement and manage the on-premises system? How are my competitors implementing UC? In the process of UC Implementation you may find yourself asking “should we install and manage our own system or use a completely outside cloud-based UC service?” The answer depends, not only on security, staffing and economics, but also what is the best method to introduce the UC menu of features to your users. Implementing an on-premises solution provides high levels of security and control, and lowers the implementation and operational risks. A major risk you can run into with a cloud service provider is service availability/reliability, since the cloud provider is not likely to include Internet access in their Service Level Agreement (SLA). The major cost component of buying a UC system is the software licenses. Once the first year of ownership has passed, the primary costs to your organization are software subscription, maintenance, and data center facilities. These latter costs add up to far less than subscribing to cloud services over time. If you’re facing budget constraints, it can make the up-front costs of implementing on-premises UC solutions from scratch a moot issue. Like many enterprises, you will likely want to avoid any new capital costs, making a cloud solution that is expensed with little or no capital impact more desirable. Why? Because the cost is fixed per month based on the number of users and the individule features used, so is a predictable and more easily budgeted operating expense. Cloud based UC services can also be subscribed to by feature set, such as providing video collaboration for a single department, allowing greater flexibility for your organization when determining what UC features should be offered to what users. Many enterprises implement a few UC features to begin with, and observe their use to determine what the feature benefits and ROI will be for other areas within the enterprise. A hybrid solution allows your organization to get the best of both worlds. With a hybrid solution you can integrate functions that are required for the entire organization, while using the cloud to offer specific functions unique to individuals or departments. This capability occurs without the expense of enabling functions for departments that do not need them. If cloud costs begin to exceed the cost of on-site implementations, you can convert functions from the cloud to premises-based. The hybrid approach can also deliver business continuity failover services at a much lower cost. As you move forward in deciding how you will implement Unified Communications within your organization, keep in mind that there is no right or wrong approach — you have to choose what works best for you. If you are ready for a guide to UC, click below to download the eBook that includes a comprehensive checklist on evaluating the best approach for your business. The checklist highlights factors such as the financial, technical and staff support impacts each system can have on your organization. Many organizations find that they need to update their existing communications systems, but lack the Capital budget to do so, or they’re simply apprehensive to make an investment in technology which seems to be ever-changing. However, in our current business climate, the status quo when it comes to technology upgrades quickly leads to reduced productivity, poor customer service and increased cost. For this reason, many leading organizations have moved their technology upgrades from their Capital budget to their Operating budget by leveraging financing. Let’s face it, advances in technology are designed to make us more productive and give us the ability to perform more efficiently while enhancing responses to our customer’s needs. That being said, if you’re not leveraging technology to provide better service, you may be at a disadvantage when compared to your competitors. Technology is changing so rapidly that whatever you acquire today may be obsolete within five years. If you’re wrestling with the dilemma of whether or not upgrading seems worth it, you’re not alone. More and more businesses are reaping all the benefits of new technology while simultaneously hedging against technology obsolescence through a Fair Market Value lease. A Fair Market Value lease option allows your organization to obtain all of the productivity benefits and enhanced customer service capability delivered by today’s Unified Communications, Mobility & Collaboration tools while giving you the ability to retain your hard-earned cash and providing you with the least-cost option to deliver a solid ROI. A good example of this is NEC Financial Services’ current offering of Fair Market Value leases with rates at or even below zero percent. For many organizations, these rates produce a monthly cost figure on a new solution which often falls well below what the organization is currently spending for maintenance alone. With these figures, finding the elusive ROI becomes easily achievable. Additionally, this financing structure provides all the benefits derived from the use of the new technology without having to worry about ownership and the risks associated with long-term investment in ever-changing technology. You don’t have to spend money to make money! 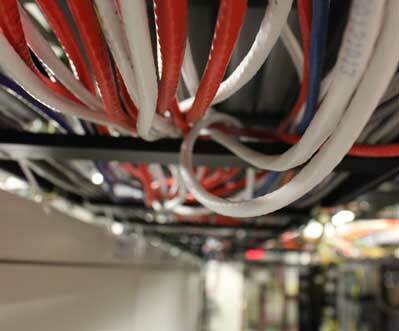 ABC Company has identified that upgrading their outdated PBX provides an opportunity for significant cost savings. But there’s a problem. With no funds left in this year’s Capital budget, their IT Department will pay more for their existing, inefficient infrastructure until funds are available. Not to mention the risks associated with operating an outdated system that exposes the business to equipment failure. With the help of NEC Corporation of America, ABC Company performs a cost analysis and determines that by leveraging NEC Financial Services’ 0% Fair Market Value promotional lease, they’re able to obtain the technology they need now at a rate that falls below what they’re currently spending for maintenance alone! Moreover, the improved productivity and enhanced customer service experience they’re able to produce by implementing Unified Communications and Collaboration is helping them to retain and acquire more customers. 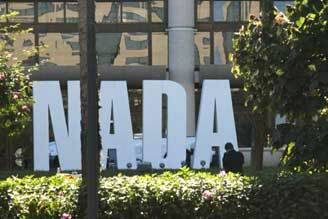 This makes the new solution a revenue producer rather than a cost burden. Don’t get stuck in a rut like ABC Company – leverage a technology financing partner who offers the most accommodating (and cost reducing) structure for you. 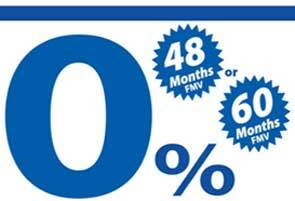 With NEC Financial Services, it’s a win-win with 0% FMV offered for 48 or 60 months on select communications systems. You’ll want to take advantage of this offer quickly. The savings are great but they won’t last. The offer ends August 30, 2013. For additional details, click here. For more information and to learn how you can take advantage of a 0% Fair Market Value Lease, ask your authorized NEC Associate, or click below. If you don’t have an Associate, you can find one here. 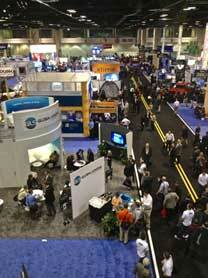 NEC recently attended the 2013 National Automotive Dealers Association (NADA) Conference in Orlando, Florida. The NADA Convention is the automotive industry event of the year and the world’s largest international gathering place for franchised new-vehicle dealers. 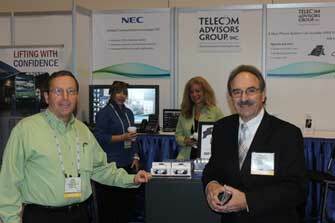 NEC participated with Phillip Sherman, CEO of Telecom Advisors Group, Inc. and one of the leading independent automotive industry technology consultants in the nation. Like many companies today, auto dealerships are interested in the best ways to cut costs and increase the productivity of their sales team and services advisors. The NADA convention gave the perfect opportunity to show the ROI of Unified Communications (UC) technology and demonstrate how it helps the rapidly growing automotive industry reduce cost, improve productivity, and increase customer satisfaction. Customer Satisfaction is important in any industry, but particularly in the automotive industry, which relies heavily on its Customer Service Index (CSI) score. For example, JD Power and Associates reported that dealerships with high CSI scores during the first three years of ownership retained 79 percent of dollars spent on maintenance and repairs during the first five years of vehicle ownership. The auto industry is heavily impacted by technology to help make improvements for both the dealer and the customer. 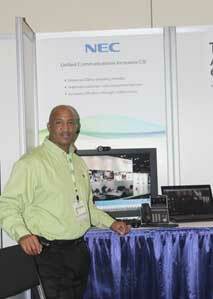 NEC employees were also on hand demonstrating our communications solutions to more than 20,000 conference attendees. With the need for uninterrupted roaming and productivity from any location within a dealership, applications that allow cellular and Wi-Fi roaming were of key interest to attendees. For those automotive dealerships tired of losing revenue due to appointment no-shows, we demonstrated our Appointment Reminder to show them how to alleviate this frustration by simplifying the appointment reminder process and communicating with their customers more efficiently. In the auto sales environment, responding to and distributing call-in and internet leads is critically important. Leveraging contact center technology that queues, distributes and tracks customer opportunities provides dealers with a competitive advantage and the ability to respond as quickly as possible. To learn how uMobility or Appointment Reminder can enhance your organization click below.